controls,and the international banks with their international clients with no capital controls. To some extent this is “more or less” the case with some other countries as well, like for example Cuba and Malaysia. 1.) Ecuador taxes you 5% on every wire, check, ATM or visa/master card transaction you make outside of Ecuador. 2.) Mexico have a limit on cash US Dollar transactions. However, Mexico is mainly a cash society. Let us know if you are aware of updates to the countries mentioned above or other countries that should be added to the list. One Year Lived written by Adam Shepard is a story about travelling in different countries around the world. Adam hopes his story will inspire others to get out and arm themselves with a broader perspective. The book is a compelling intro to places you want to go. You can buy the paperback just published at Amazon.com for USD 15.95 or get the full ebook version for free here by sharing this blog post within 48 hours. His journey began in “the other Antigua”—Antigua, Guatemala—where Adam spent a month brushing up on his Spanish and traveling on the “chicken bus.” During his two months in Honduras, he served with an organization that helps improve the lives of poor children; in Nicaragua, he dug wells to install pumps for clean water and then stepped into the ring to face a savage bull; in Thailand, he rode an elephant and cut his hair into a mullet; in Australia, he hugged a koala, contemplated the present-day treatment of the Aborigines, and mustered cattle; in Poland, he visited Auschwitz; in Slovakia, he bungee jumped off a bridge; and in the Philippines, he went wakeboarding among Boracay’s craggy inlets and then made love to Ivana on the second most beautiful beach in the world. His yearlong journey, which took two years to save for, was a spirited blend of leisure, volunteerism, and enrichment. Adam has agreed that if you share this post with your friends within the next 48 hours you will get his complete ebook “One Year Lived” of 284 pages for free in your preferred format from Tax & Money Havens. This deal is now closed. Nicaragua offers low cost of living, beautiful colonial cities, spectacular beaches and a vibrant culture. A territorial tax system makes in an interesting county for foreigners. Nicaragua taxes only income derived from Nicaraguan sources. For individuals, income tax is calculated on a progressive tax rate, up to a maximum of 30%. 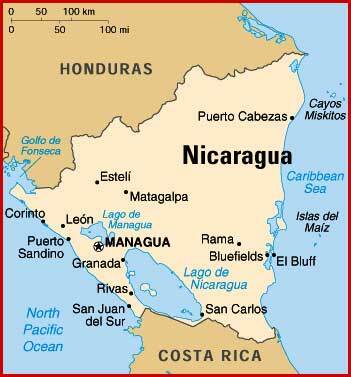 Taxable income is based on Nicaraguan source income. As a foreign retiree, you pay no taxes on out of country earnings. This tax applies to the following acts performed in the national territory: sales of goods, providing of services, and importation of goods. It is calculated at a flat rate of 15% on the value of the goods or services. If you own a business the value added tax will be returned to you. Property transfers are subject to a 1%-3% pre-payment income tax on the purchase price. While most sellers ask the buyer to pay it, you should be aware that it is a pre-payment of income tax; therefore, it is legally payable by the seller. Annual property taxes are approximately 1% of the 80% of the municipal cadastral value of the property. The cadastral value of the land is calculated substantially lower than the market price of the land. There are two other critical factors that have also played a considerable role in defining Nicaragua’s fate as a retirement destination: a comprehensive retiree benefit program and the many desirable locations scattered throughout the country. In the last decade, Nicaragua has privatized nearly all its old state-owned monopolies, save for the public utilities, and has thus dramatically reduced the amount of government red tape investors have to contend with when they do business here. In addition, it has opened up all sorts of new markets. A foreign investment law ensures you can repatriate 100% of your profits and, after three years, the initial investment as well. Even if you don’t “register” your investment, banks will freely repatriate profits. You’ll find no legal grounds for discrimination against you when you invest. The law allows for 100% foreign ownership in every economic sector. And there are no restrictive visa or work permit requirements to inhibit investment. Law 306 gives you an incentive and makes it easy for you to help jump-start the industry and make a profit while you’re at it. Many tourist activities fall under the law’s umbrella, and with an investment in any one of them, you benefit through tremendous tax savings. Nicaragua is the second safest country in all of Latin America behind Uruguay, and Nicaragua has a lower reported crime rate than France, Germany, and the United States, according to a United Nations/Interpol study. 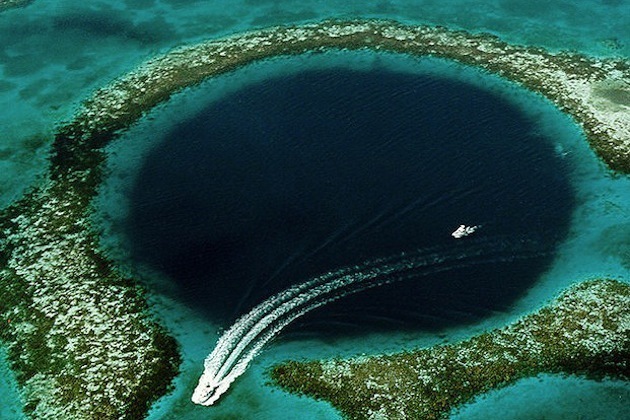 Nicaragua’s Law 306 enacted in September 1999 is the most attractive and aggressive–tourism incentive law in Latin America. If you’ve ever thought about opening your own B&B, running a tour business, or having a little arts and crafts shop, Nicaragua is the place to do it. This law is sweeping in scope and offers benefits for investors who take advantage of the program. If your business qualifies, you pay no income or real estate taxes for up to 10 years, and bring in (or buy locally) all the supplies you need, from furniture and boats to linens and cash registers all tax free. The application and approval process is fast. INTUR, Nicaragua’s institute of tourism, has outlined very clearly what you need to do. The law allows the agency just 60 days to approve your applications. What’s more, depending on the type of project, an investment of only $30,000 can qualify you for benefits. Import into the country all the supplies you need to facilitate your investment tax free. The country’s “retiree” program is much like the Costa Rican program was in the 1980s, attracting thousands of expatriates to Nicaragua. To be eligible, you need only be over 45 years old and have a monthly income of at least $600. The Nicaraguan government provides significant tax incentives for foreigners, and encourage investment in the country. Pay no taxes on any foreign earnings. Can bring up to $20,000 of household goods, for your own home, into Nicaragua duty free. Can import or purchase one automobile for personal or general use duty- and tariff free up to $25,000, and sell it, tax-free, after five years. Can import an additional vehicle every five years under the same duty exemptions. Where Are the Foreigners Retiring in Nicaragua Locating? The hottest Nicaraguan retirement destinations are the colonial cities of Granada and Leon, the capital of Managua, and most notably the southwestern corner of the Pacific coast around San Juan del Sur, where beach front property options abound. Nicaragua offers the lowest cost of living in Central America (lower than Panama) with prices 20% to 60% lower than the United States. It also offers an opportunity to purchase stunning beachfront, lake, or colonial real estate at great prices with low property taxes. Nicaragua is an exotic land where the sun shines all day long with tropical rivers, colonial cities, friendly and lively people, and the largest body of fresh water south of the Great Lakes with the world’s only freshwater sharks. Affordable health care is available in Nicaragua. There are several first class hospitals in or around the greater Managua area, with the Vivian Pellas Metropolitan Hospital being the most specialized. Throughout the remainder of the country there are ample amounts of quality clinics, hospitals, and doctors who are available for basic medical attention. HTH Worldwide is also able to provide you with a comprehensive health care policy that will cover you not only in Nicaragua, but also in the United States, at 100% cost reimbursement. This plan provides a nice sense of comfort as you live in Nicaragua. It is recommended that when it comes time to move to Nicaragua you obtain Med Evac insurance (which can cost as low as $250 per year). This is a precautionary measure in case highly specialized equipment is not available in Managua. Nicaragua’s laws resemble the old pensionado rules that were in place in Costa Rica in the 1980s, attracting thousands of expatriates to that country: They provide significant tax incentives for foreigners, and they encourage investment in the country. Resident expatriates say it is as much the friendliness of the people that attracts them to Nicaragua as any other factor, such as the tropical climate, low price level, or attractive government incentives. But the government program is often a key deciding factor: It’s fairly easy to qualify for retiree status, the paperwork is minimal, and the benefits compare favorably with those in other, neighboring countries. Law of Resident Pensioners and Retirees (Decree 628): Nicaragua passed legislation to encourage retirees and pensioners to move to the country. The Law of Resident Pensioners and Retirees gives benefits mostly in the form of tax incentives. To qualify, you’ll need to prove to the Nicaraguan government that you’re actually a citizen of the country where you claim your nationality, that you’re in good physical and mental health, that you’re in good standing with the local police, and that you have an income equivalent to at least $600 a month. Add an additional $100 for each dependent family member living with you in Nicaragua. The minimum age for eligibility is 45, but this can be waived if the applicant proves stable income. Panama has established City of Knowledge in order to attract research and high tech corporations. This includes internet commerce, bio and nano tech corporations. Only 15 minutes drive from down town Panama City it also offer great life style possibilities. Being part of the City of Knowledge implies a commitment to innovation and sustainable development, but it also involves a broad range of benefits designed to make your operations more effective. Tax and immigration benefits through affiliation to the City of Knowledge Foundation project. Telecommunications, IT and educational technology services, including an intelligent high-tech center with the required capacity for teleconferences, distance learning, fast internet connections, and other services. A Point of Presence -POP- with direct access to the land portion of 5 International Fiber Optic cables that go across Panama (PAC, SAC, ARCOS, Pan-American and MAYA). Infrastructure and buildings in good maintenance condition, easily adaptable to various uses. Technical, administrative and consulting services. Constant electricity flow (99.9%) with redundant power supply from the Panama Canal thermal plant located 300 m (328 yards) away in the Miraflores locks. Complementary accommodation and catering service. Access to the major higher learning and scientific research centers in the country. Access to the Panama Canal Basin, a living laboratory for scientific research and technological innovation on advanced tropical ecosystem management. Central location: next to the Panama Canal, 15 minutes from downtown Panama City, 5 minutes from Amador resort and 45 minutes from Colón city, located on the Atlantic entrance to the Panama Canal. Here are the incentives for those participating in the project under Executive Order # 6 of February 10, 1998, which states the basis for the Panamanian State’s support to the City of Knowledge Foundation. Exemption from all taxes, levies, fees or import duties on machines, equipment, furniture, vehicles, appliances or materials necessary for the operation of companies accepted into the City of Knowledge Technopark. Exemption from Service and Personal Tangible Asset Transfer Tax (ITBMS) on machinery, equipment, vehicles, appliances and materials purchased or necessary for the operation of companies accepted into the City of Knowledge Technopark. Exemption from any taxes, fees, duties or levies on overseas money remittance when such money remittance or transfer is done for the purposes of companies accepted into the City of Knowledge Technopark. Their activities, operations, transactions, procedures and transfers of personal and real property, purchase and import of equipment and construction material, raw materials, machinery, tools, accessories and supplies will be a hundred percent free of direct taxes, levies, fees, duties and national taxes. This includes income tax exemption for companies. Their capital will be free from direct national taxes, including patent or license tax. The State will grant special visas to foreign staff entering the country to contribute to the development of the City of Knowledge project. For further information, see the Immigration and Naturalization Bureau website. Companies affiliated to the City of Knowledge are authorized to hire any international staff necessary for their operation.